The conference organisers are delighted to offer delegates a choice of two publications arising out of the Perceptions of Pregnancy gathering in July 2014. Information on both options is provided below, but please do not hesitate to contact us (perceptionsofpregnancy@gmail.com) if you have any other questions. We invite expressions of interest by 2 September 2014. It is not necessary at this stage to send the revised chapter, but rather a title and 250-word abstract will suffice. Further details on the requirements for contributing to the edited collection are given below. The editors have offered us a number of options for our special edition, with articles varying in length depending on the number of contributors. Our choice will be guided by the number of contributors interested in publishing with the magazine. In order to make that decision, we invite expressions of interest by 2 September 2014. It is not necessary at this stage to send the revised article, but rather a title and 250-word abstract will suffice. Download a PDF of the information here. Essays are to be approximately 7,000 words in length, including footnotes. Submission date for chapters is 20 January 2014. 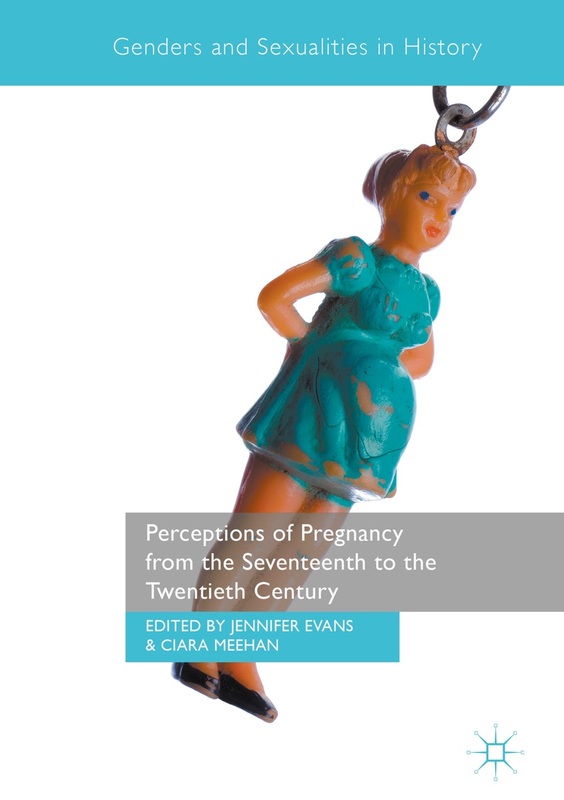 Essays are to be emailed to perceptionsofpregnancy@gmail.com in MS Word format. All copy should be typed in 12 pt Times New Roman font, with 1.5 line spacing and page numbering in the top right hand corner. Please include a chapter title (or working title). The editors reserve the right to change essay titles (in consultation with the author) in order to prevent duplication and/or repetition between chapters. Short quotations should be indicated by single quotation marks but use double quotation marks for quotations within quotations. Long quotations or extracts should be indented from the left-hand margin without quotation marks. Insert a line space above and below the quotation. Words or punctuation not present in the original should be enclosed in square brackets. Italicisation not present in the original should also be indicated at the end of the quotation: [my italics] or [emphasis supplied]. Final punctuation should be within quotation marks if a complete sentence is quoted. Final punctuation will be outside quotation marks if the quotation forms only part of a sentence in your running text. Dates should be given as 18 August 1941, not August 18, 1941 or 18th August 1941. Decades should be given as the nineties or the 1990s without an apostrophe. British spelling should be used throughout. Use -ise in preference to -ize. Take out full points in U.S.A. and other such abbreviations: type USA, UK, MA, etc. Do not use full points for abbreviations which include the first and last letter in the singular (Mr, Dr, Mrs but Prof., univ.). One to ten are expressed in words, but 11 upward appear in figures, unless used in general terms – for instance, about a hundred people. It is the responsibility of the author, not the editors, to secure copyright permission for reproduction of photographs or extensive quotations from copyright material (where the author has not been dead for 70 years). Please note, we cannot support the cost of copyright clearance. Where copyright material is included, the author will need to provide a copy of written permission at that time of final submission of the chapter. It is advisable to start the copyright clearance process as early as possible, as it can often be a lengthy process..
All references should be supplied as footnotes. For repeated entries do not use ibid. and op.cit. but instead use author name and an abbreviated title. Repeated entries must be in full at first mention in each chapter’s references. the page number(s). For example: A. S. Blinder and R. M. Solow (1999) ‘Analytical Foundations of Fiscal Policy’, Journal of Finance, XXV, 47–54. Please note that the abbreviations ‘p.’ and ‘pp.’ may be omitted for articles in journals. in notes but not bibliographies, the page number(s), if appropriate. For example: H. B. Garland (1999) A Concise Survey of German Literature, 2nd edn (Basingstoke and New York: Palgrave Macmillan), p. 84. Freund, B. (1999) ‘The Making of Contemporary Africa’ in B. Smith (ed.) A History of Africa (Basingstoke and New York: Palgrave Macmillan). Most works these days include references to websites but they tend to do so in a wide variety of ways. Our preference is to try to use as simple a method as possible, avoiding the inclusion of lengthy addresses for individual web pages especially when these are likely to have changed by the time anyone looks for them. Accordingly our general advice is to try to apply the same principles to web references as to references to books or journals. If using Harvard references it is best to think of a concise ‘author’ to use in the text reference and spell out the full ‘author’ in the bibliography. Europa (2012a) Secretariat-General of the European Commission, http://ec.europa.eu (home page), date accessed 14 February 2012. Europa (2012a) Secretariat-General of the European Commission, http://ec.europa.eu/dgs/secretariat_ general/index_en.htm, date accessed 14 February 2012. If you need more specific guidance in relation to your own work please talk to your commissioning editor or their assistant. If citing from other media, we suggest you help your reader by identifying the medium, e.g. ‘blog’, ‘podcast’, ‘interview’, ‘questionnaire’, in the reference details, and include any information you think will be useful to the reader. This entry was posted in CFPub Closed. Bookmark the permalink.